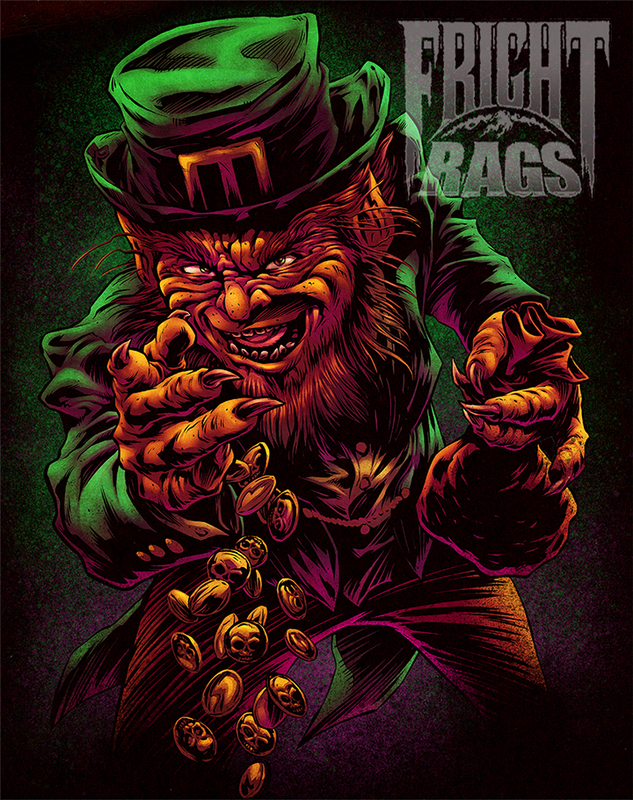 Another design for FRIGHT-RAGS based on the "horror" movie LEPRECHAUN (1993). Not a great movie, by any stretch of the imagination, but it's often so bad it's good. Fun to work on, regardless. 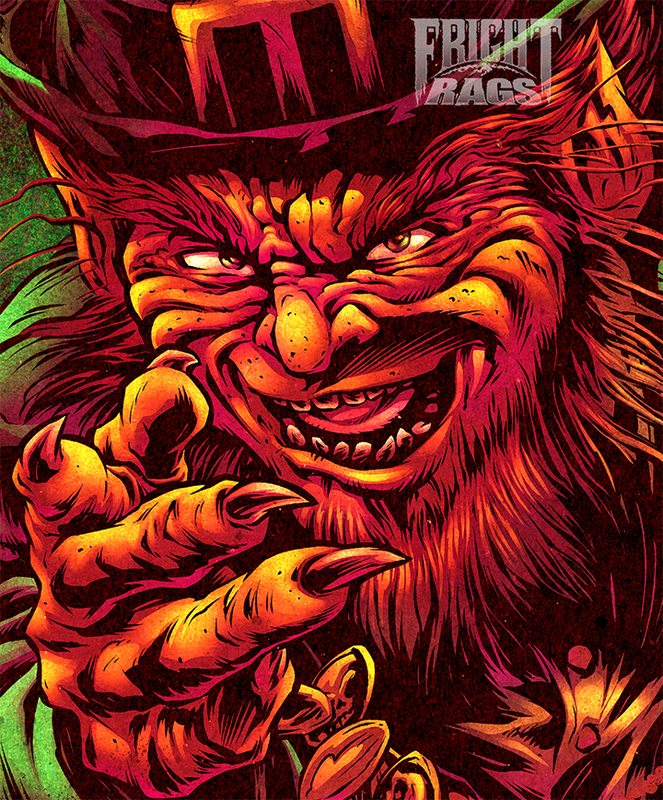 Available for sale now at the FRIGHT-RAGS website. CLICK HERE TO SEE MORE DETAIL SHOTS AND PROCESS WORK AT MY BEASTPOP BLOG. I always end up staring at your line work for about 10 minutes. Fun stuff Pop! Pffffttt. This was a great movie. lazyeye said: I always end up staring at your line work for about 10 minutes. Fun stuff Pop! 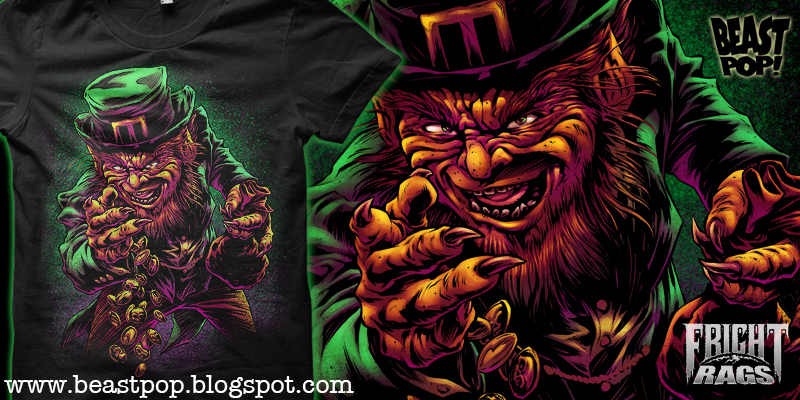 Perfect St. Patrick's Day shirt! Gonna have to have one!